Season Synopsis: Season Seven focuses on a convergence of armies and attitudes that have been brewing for years. 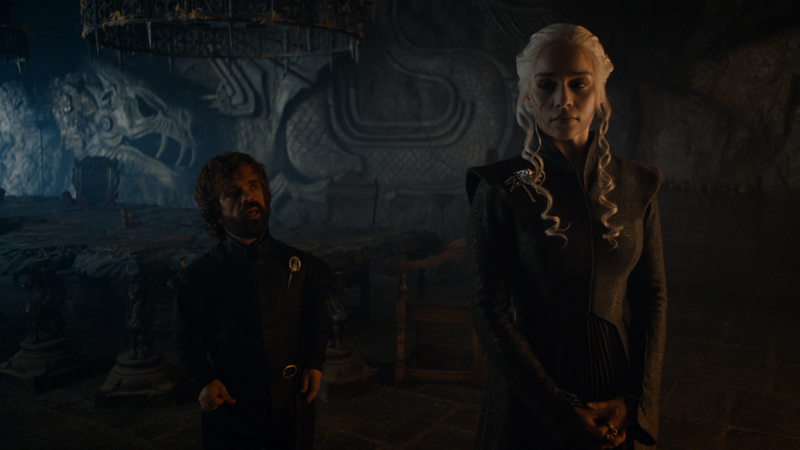 As the season begins, Daenerys Targaryen (EMILIA CLARKE) – accompanied by her Unsullied army and emboldened by Dothraki/Ironborn allies and her lethal trio of dragons – has finally set sail for Westeros with Tyrion Lannister (PETER DINKLAGE), her newly appointed Hand. Jon Snow (KIT HARINGTON) has apparently consolidated power in the North after his spectacular conquest of Ramsay Bolton and the return of Winterfell to Stark control. 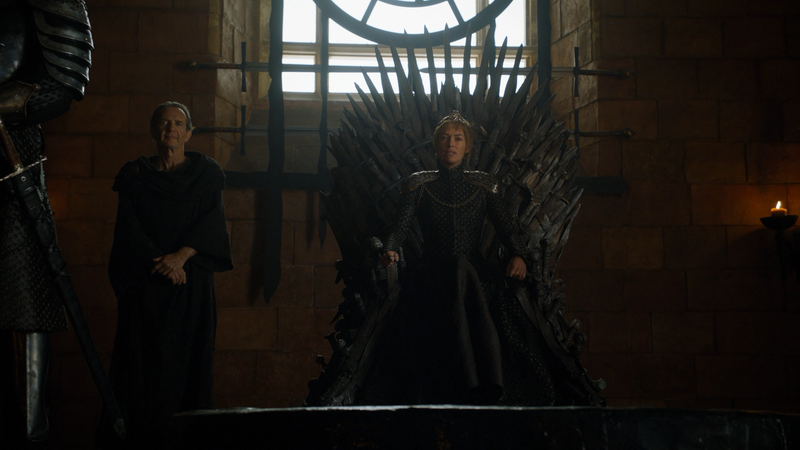 In King’s Landing, Cersei Lannister (LENA HEADEY), bereft of any surviving heirs, has successfully seized the Iron Throne. But as these and other factions drive towards new alliances or, more likely, violent conflicts, the cold specter of another apocalyptic threat – in the form of an army of undead White Walkers – threatens to undermine the status quo and obliterate the outcome of these smaller, all-too-human rivalries. Quick Hit Review: The seventh season of Game of Thrones is another solid year for this long-running, at least by HBO standards, series. The storylines are getting interesting and yet again see the power shifting dynamics with Emilia Clarke’s Targaryen taking more control and the tenacious and resourceful Tyrion at her side and once again, a masterful performance from the amazing Peter Dinklage. All that said, this probably is the weaker season, in my eyes, compared with the others, yet still strong leading into the eighth and final year. This three-disc set comes housed in a fold-out digipak that side-slides into a sturdy outer case which itself has a clear slip cover that slides over that case. Neat packaging, but so much work just to get a stinking disc out! 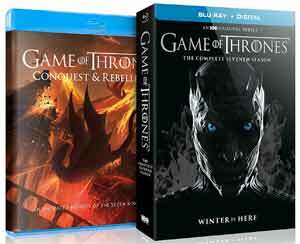 Inside is a redemption code for the Digital HD copy and this release is accompanied with a Conquest & Rebellion bonus disc which is an animated storybook style of the History & Lore telling the never-before-seen story of the turbulent events that shaped Westeros for thousands of years before the series start. As with the other season sets, this is packed with some great features. There are 11 tracks here spread across 7 episodes and each varies in terms of entertainment. The ones without actors are far more technical but still offers insights into the production of the show while the actors give a more personal viewpoint on the characters and story. In-Episode Guides – Each episode comes with this guide which is a resource that provides background information about on-screen characters, locations and relevant histories. From Imagination to Reality: Inside the Art Department (24:26/21:59; HD) – This two-part featurette details the work of Production Designer Deborah Riley and her art department, looking at the process behind the creation of the season’s new sets. Fire & Steel: Creating the Invasion of Westeros (30:02; HD) revisits the season’s most pivotal moments and includes interviews with the cast and crew breaking down how fans’ favorite moments were created. Histories and Lore – Learn about the mythology of Westeros and Essos as told from the varying perspectives of the characters themselves. This Dolby Atmos track sounds, unsurprisingly, fantastic with great depth and exceptional dynamic providing for crisp and clear dialogue and comes to life especially for the action-centric scenes. The score also makes good use of every available channel beginning with the catchy and identifiable main theme. (Copied from the season 2 & 4 limited edition reviews). 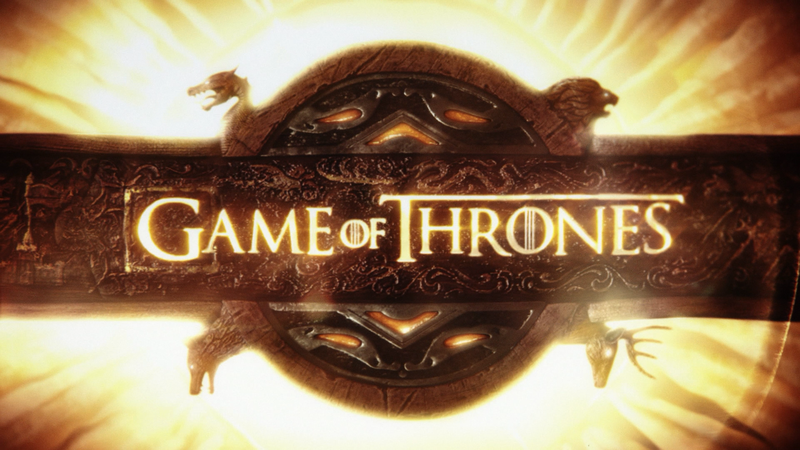 Although Game of Thrones: The Complete Seventh Season isn’t the strongest of this series, it’s still another solid year with great performances and some well written storylines with more maneuvers by our characters as each position themselves for power. The Blu-ray release offers up excellent video/audio transfers and once again, great selection of bonus material.